Download a free trial & discover how MIMIC sFlow® Simulator creates a lab full of devices based on sFlow, Cisco® NetFlow, Juniper® J-Flow, IPFIX data to completely evaluate and test your Flow monitoring, management and analysis applications. MIMIC sFlow Simulator generates a variety of flows and enables you to fully test your applications. Since you have a complete control over generated flowsets you can easily verify that your graphing application is correctly displaying the values and your collector correctly collects precisely generated flowsets. Configuration - Configure simulated sFlow devices to create exactly how you want to show your network's functions (how it is used, by whom, and for what purpose). Correlation - Test the correlation of the traffic arriving from designated ports, source/destination IPs and protocols. Traffic generation - Create a comprehensive view of your simulated network traffic, with bottlenecks and bandwidth hogs. Customize the simulation - Start using without any customization or fully customize any/all flow record values. Flow changes - Prove that value changes are detected according to the specified rules. 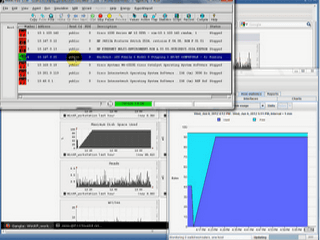 SNMP to sFlow - Change SNMP values of the devices and report those results in the Flow applications. sFlow to SNMP - Change Flow values of the devices and report those results in the SNMP based applications. 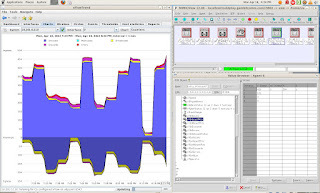 The MIMIC sFlow Simulator, the industry's first integrated simulation tool supporting sFlow, NetFlow and SNMP, allows developers to perform real world, integrated device simulations. MIMIC simulates sFlow-capable networking devices. MIMIC allows suppliers of sFlow devices and applications to design, develop and test their products in a virtual and scalable network environment, assuring customers that their applications will work properly when deployed across heterogeneous environments. Development and Testing: sFlow Management application developers can implement their products quickly and test reliably. Evaluation: Enterprises can compare and evaluate the suitability of applications with anticipated failure and growth scenarios, or qualify purchases before deployment. If you are interested in creating your test lab with devices and topology, MIMIC Simulator Suite allows you to create SNMPv1, SNMPv2c, SNMPv3, IPMI, Cisco IOS, Juniper JUNOS, Telnet/SSH based devices. You can simulate as many as 100,000 devices in a lab. 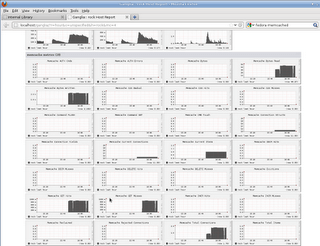 It includes MIMIC Recorder to record your production network and duplicate it in your test lab.